Looking to enjoy weekend in Delhi or travel outside the Delhi with family? 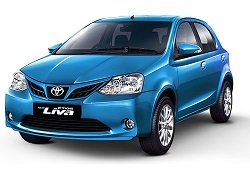 Our Car rental service will help you make it possible like no other cab service in the city. Comfort My Travel is one of the best cab booking services and taxi hiring service company in Delhi, committed to providing best car rental services to the travelers. We provide local Taxi booking, cabs for outstation, luxury cars for weddings, car rental service for outstation. We are comfort My Travel, an online cab booking Company, providing customers with reliable and premium Outstation and Local car rental services. We have a wide range of Luxury and Economy cabs and taxi for hire in Delhi and beyond like Tata Indica, Swift Dzire, Toyota, Honda, Indigo, Mercedes, Audi, Fortuner, BMW, Corolla, Crysta etc. We have been trustfully serving customers for the last 15 years. We have a proven business and service model for providing quality cab services that delight customers and excite them to refer us to their neighbors, friends, and relatives. Need a Luxury car for Local or Outstation? Call us and get the best offers for your ride. We provide best in class car rental service in Delhi. We at Comfort My Travel take care of cleanliness & safety of your comfortable travel. Hire luxury cars & make easy payments online. Relax and enjoy your ride! Get rid of bargain & pay only what you are being charged for. A sudden change of plans? Need a cab? Call us anytime in the day. Our drivers are ever ready to help our customers in their time of need. We also offer Economy cabs for hire at competitive rates which are reasonable. 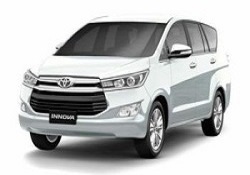 Hire cabs and taxi, for in-city travels & outstation journeys. As we believe no journey is too big or small. Our ever-growing fleet contains a plethora of cars, from Hashback Cars to Sedan Cars.